Thanks for making UFO 2 our most liked product in years. Lots of you have kindly written and thanked us for the super value and content quality in this one especially! We have found a few last triple super deals so have offered them at the original 3 for £149 price but hurry as they won't last long. 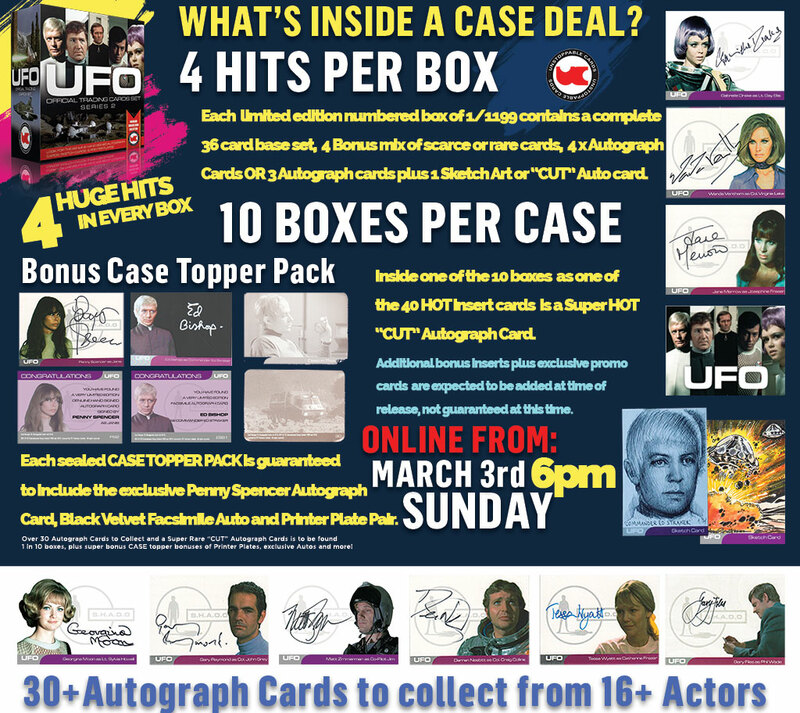 All come with the 10 card bonus set and our Ayshea Brough bonus cards! 4 HUGE HITS IN EVER BOX - AN INDUSTRY FIRST IN THE UK! CUT Autos - Packed One Per Case Guaranteed. Graham Bleathman, Scott Fellowes, Kitty Lydia-Dye, Marcia Dye, Andy Fry, B.Jones, Clinton Yeager, Dan Curto, Jamie Richards, Paul Cowan, Westley James-Smith, Don Pedicini Jr. & Andy Bohn. More to be confirmed. 200-300 sketches across 100 cases expected. 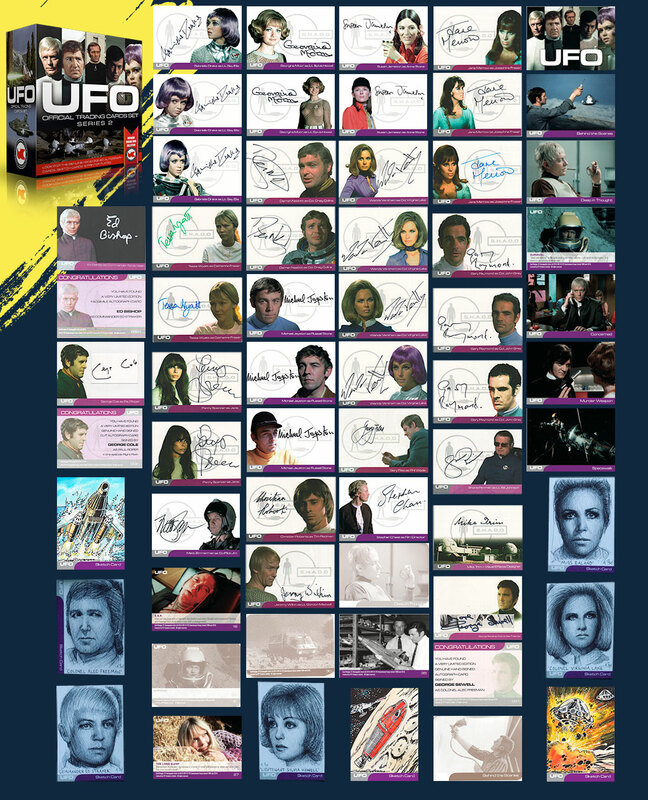 ALL NEW "CUT" AUTOGRAPH CARDS IN THE BOXES FROM: Ed Bishop, George Sewell, Gerry Anderson, Michael Billington, Philip Madoc, Douglas Wilmer, George Cole and Many Many More!